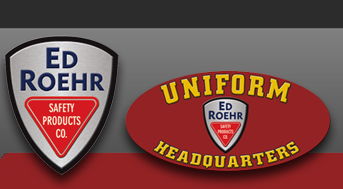 American Aluminum - Ed Roehr Safety Products Co.
American Aluminum Accessories, Inc. manufactures a wide variety of products from high-quality CAM-LOCKER toolboxes to an extensive line of products designed to meet the ever-changing needs of the Law Enforcement Community. In 1989, we began as a manufacturer of our superior quality CAM-LOCKER toolboxes. In 1992, due to the demand for safe, secure transport for a nearby Law Enforcement Department’s canine, we introduced the very first in-vehicle E/Z RIDER K-9 Container. We have continuously grown and expanded our products, catering to the needs and wants of our valued customers and high-profile clientele. 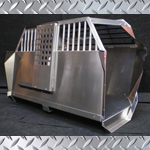 Over the years as your needs have changed, we have evolved and expanded our products to include Inmate Transport Systems, K-9 Training Aids, Explosive, Contraband Containment and Animal Control Systems, to name a few. We strive daily to manufacture the finest products available and we always welcome the input you provide to continue to improve. We would like to thank each and every one of our valued customers and it is with our deepest appreciation we thank you, the Law Enforcement Community for your dedication and service.